We are three months into 2019 and already seeing so much recognition for our work! We are so thrilled to announce a handful of new awards LUX is ecstatic to accept. We are incredibly excited to announce that we have won the 2019 Salt Lake Chamber Award for Best Small Business. We have also been recognized by the International Caterers Association and have proudly accepted two new CATIE (Catered Arts Through Innovative Excellence) Awards, bringing our total to EIGHT! The CATIE’s recognize achievements of exemplary production at an event and innovation. We currently hold two CATIE’s for Best Tablescape Design, two for Best Dessert, one for Best Main Course Plate Presentation, and one for Best Celebration Cake. Our most recent award recognizes LUX for Best Tablescape Design and Best Dessert. 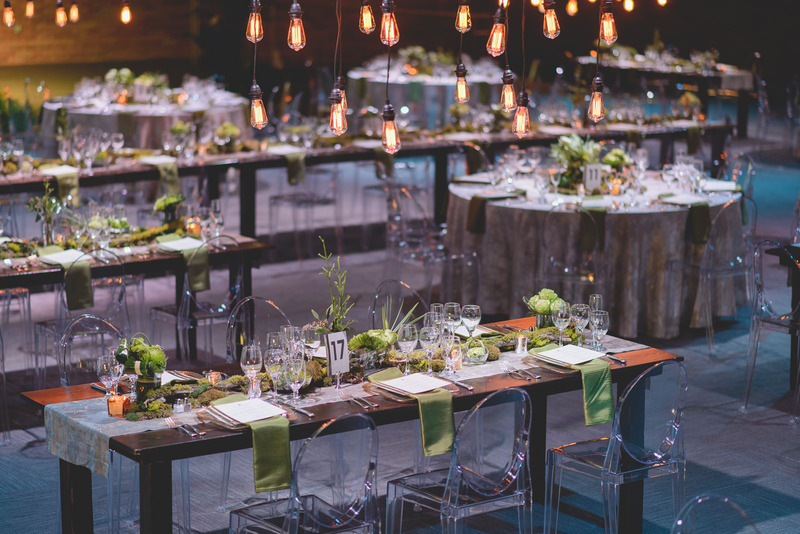 Our award winning tablescape was from an event designed for an intimate fall soiree of founders from a local company, created to celebrate the companies booming success. The design was created around the season as well as its backdrop; the mountains of the midwest. Using the colors of the changing leaves, the mixed wood of a log cabin, and wild flowers as inspiration this event featured a unique custom design. The winner for best dessert was created specifically for the event it made its debut at. It was served at a plated dinner for a corporate retreat send off reception for over 200 guests. It was designed with the venue, tablescape, seasonality, and the overall flavor profile of the menu in mind. We showcased a cinnamon sugared cronut topped with homemade pumpkin gelato, garnished with pomegranate arils, and sealed with an edible sugar dome. This unique dessert was served as the last course of the night, and created to leave an impression. We are looking forward to having, once again, another unprecedented, award-winning year for LUX Catering & Events!